Maximise the return on your investment by acting fast to find a reliable tenant who will pay the best price. 1. Investing in property for the first time? Selecting the right property is key. Would you or your partner be happy living there? Then it is likely a tenant will to. Read our Essential Guide to Investing in Property and how Campbell+Dean can help. Before you let your property ensure that you, as the landlord, and your property comply with all legislation. This includes registering as a landlord in Scotland with the Local Authority, ensuring your property complies with Gas, Electrical and Fire Safety legislation, a Legionella risk assessment is completed and that a valid Energy Performance Certificate is held. Get those odd jobs done! Generally speaking, if you are renting to a family, it won’t be their first property so they are more likely to have their own furniture. If you are renting to young professionals they may not be able to afford to furnish a property so it is best to provide basic furniture. Campbell+Dean can advise you on this. The rental achieved is unlikely to be influenced by the provision of furniture; however it can have an impact on the time taken to let a property. If you are furnishing, remember you are obliged to repair anything that requires attention, so less is more and avoid leaving TVs etc. Furnishings also have to comply with Fire Regulations. Campbell+ Dean’s management service is the key to reaping maximum rental returns on your property. Many tenants prefer renting managed properties and are often prepared to pay a premium for this. Instruct Campbell+Dean to manage your property and gain peace of mind that both your property and tenants will be cared for 24/7. Campbell+Dean will look after the general day-to-day management and more complex issues such as emergency repairs, collection of rent, transfer of utilities and much more. Clear out that clutter! Remember your property will be your new tenant’s home so it is important that all unnecessary items such as ornaments, spare bedding etc. are removed from the property prior to the tenancy. As should any items of high or sentimental value. Storage cupboards should also be left free of unnecessary and surplus items. The property should be clean and tidy and any items not forming part of the tenancy removed. Before you let your property for the first time a comprehensive Inventory and Schedule of Property Condition will be completed by Campbell+Dean. This will set out the condition and contents of the property. For this to be done the property will need to be presented in the condition that it is to be let in. You want to let your property at the best possible price in the shortest possible time. An accurate valuation is the crucial first step towards achieving this. Our valuation will give you expert guidance on local prices, the wider property market and how to maximise the rental of your home as well advising on the legal requirement to let your property. Over 80% of enquiries come via property portals. Campbell+Dean advertise on all of the major property portals, including: Rightmove, Zoopla, Prime Location, Gumtree, Lettingweb and many more. Did you know that Rightmove is constantly in the top 10 searches on google in the UK? All Campbell+Dean listings include comprehensive colour pictures of your property and a detailed property description, professional sign boards at the property (or posters if boards are not permitted). Only you know how valuable your time is, but flexibility with viewings is essential to maximise viewing opportunities for your property. No shows can be frustrating but are part and parcel of lettings. 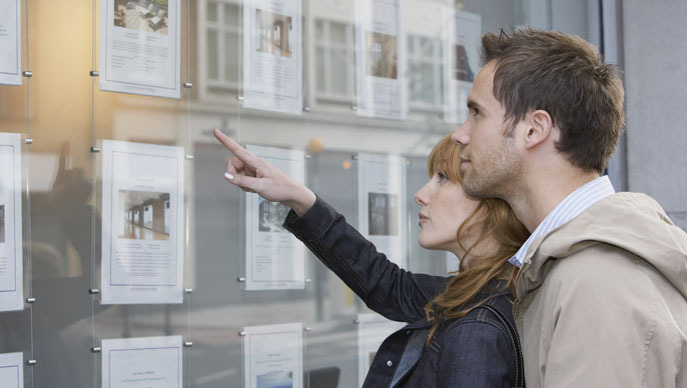 The vetting process starts at the viewing and you should ensure that any potential tenants would be suitable for your property during the viewing. You should also follow up all appropriate viewings with a courtesy phone call. When an application is received ensure comprehensive references are taken up and that the tenant has a right to rent in the UK. Upon receipt of satisfactory references draw up the legal paperwork: a current Tenancy Agreement, supporting guidance notes and exhibit all required certification to the tenant. Ensure that the rent is paid in advance and that the security deposit taken for the property is lodged with an approved Deposit Protection Scheme. Ensure that the prescribed information is issued to the tenant within the required timeframe. Failure to do so can result in a substantial fine. Campbell+Dean use SafeDeposits Scotland. 10. Don’t forget the rent! It may sound silly, but do check your bank account each month to ensure that your rent is paid. Campbell+Dean Landlords automatically receive an email statement each time a rent payment is made, with copies of invoices for any deductions. You should also inspect your property regularly to ensure compliance with the terms of the lease. It’s a fact of life that a tenant may not notice or report maintenance that you as a landlord would spot. Ensure continued compliance with Scottish legislation and property trends. Sign up for our free landlord update.